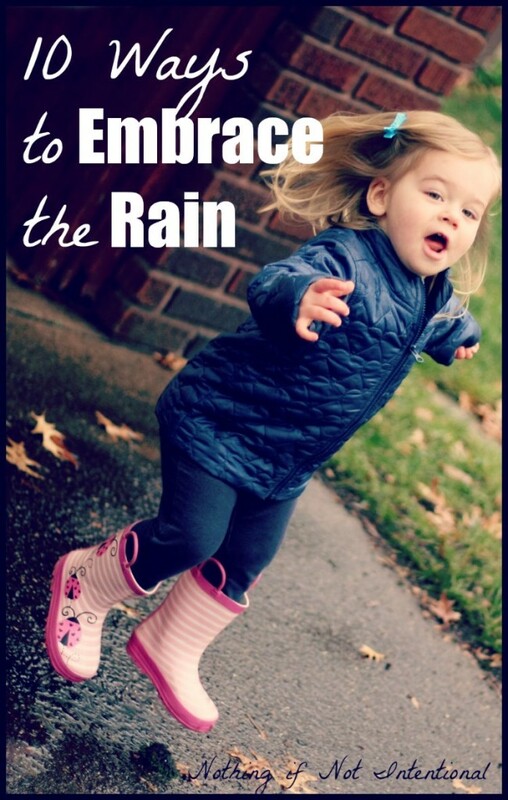 Embrace the rain! 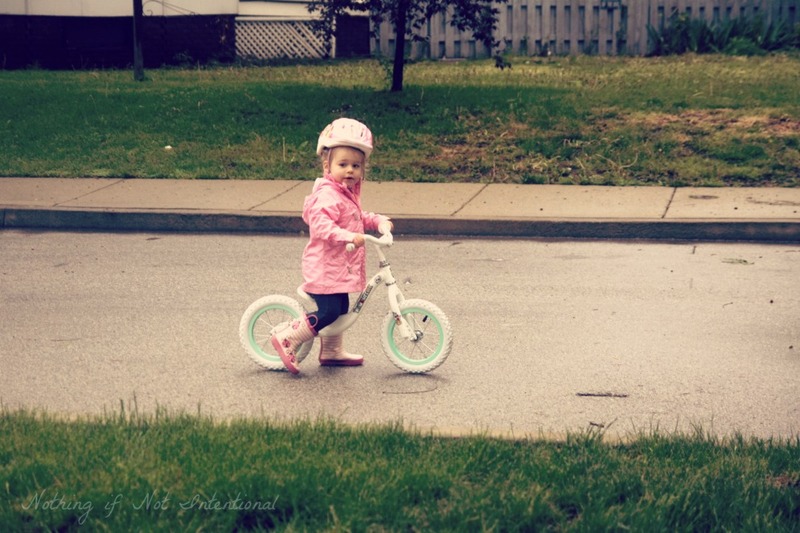 10 ways to play outside on a rainy day. Collect water for your garden. Whether you have a flower bed, herbs on the windowsill, or a full-blown vegetable patch, your plants need water! Put out a bowl or bucket to collect the rain. For older kids, have them measure what they collect. Look for bugs. All kinds of creepy crawlies come out in the rain. 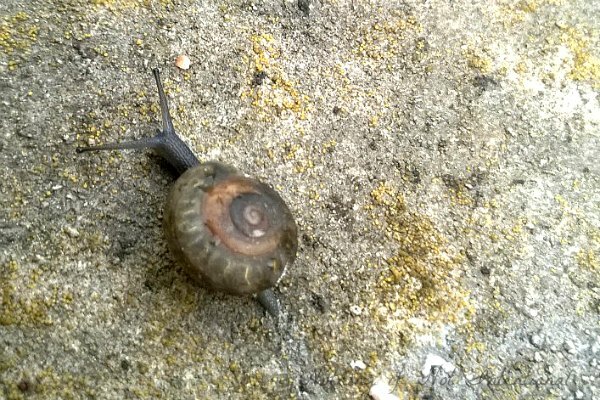 Worms, ants, these lovely snails. I remember when I could be grossed out by things like this. Now I have to try to stay neutral or even try to be impressed so I don’t give my girls a complex. 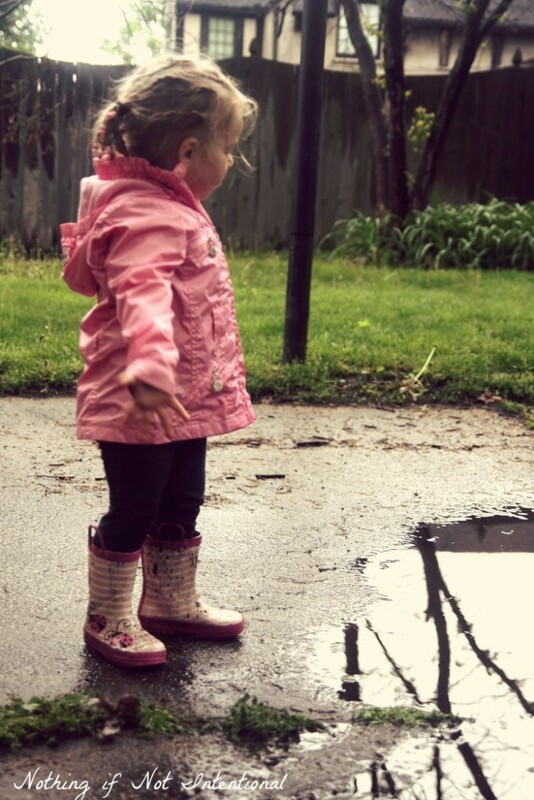 Use a puddle to test which things (leaves, sticks, outdoor toys) sink or float. Or race ice cube boats across a puddle. Paint with rain. Here are five fun rain-painting ideas! 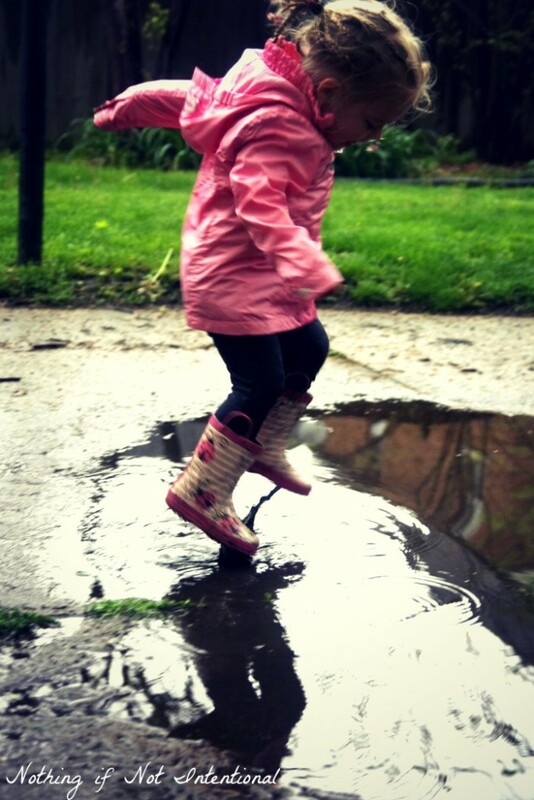 Puddle jump. Parents, you can play too! My favorite pair of shoes is my rain boots. 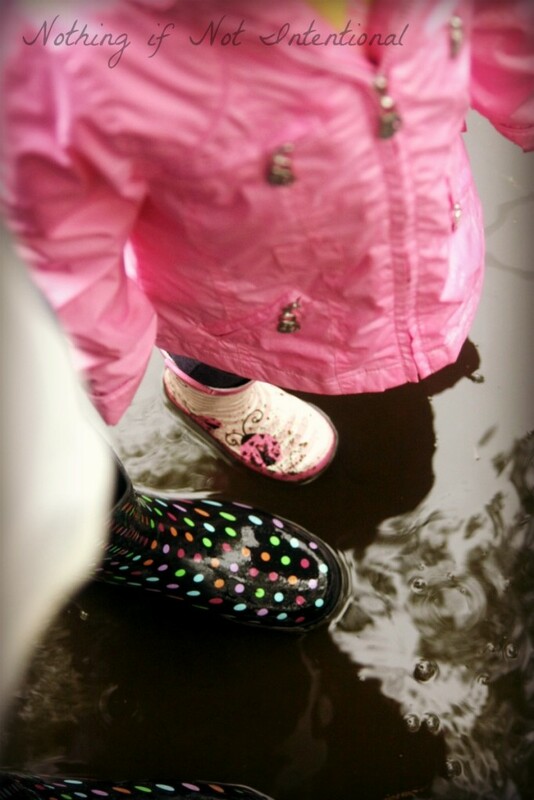 We picked them up a few years ago for $15 at a farm supply store, and my girls love it when I put them on and splash in puddles with them. Make mud pies. We have an outdoor kitchen that we picked up secondhand for $10. It’s perfect for mud pies, stone soup, and pretend grilled cheese. A rainy day is the perfect time to explore weather and weather patterns. Rainbows. Clouds. Weather forecasting. Buggy and Buddy has 20 great weather books for kids that may pique your child’s interest! Go fishing. Fish often are eager to bite before or after the rain! 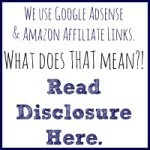 Did you catch the first posts in our summer play series? We made sunshine clay and the perfect summer smoothie! 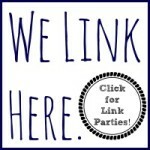 Before you go, check out these other fun summer ideas shared by my lovely blogging friends. They’re all awesome, creative moms who are excited to help you and your kiddos have a blast this summer! Taste-Safe Coconut Cloud Dough from Fun-A-Day! Pingback: Taste-Safe Coconut Cloud Dough - Fun-A-Day!